I routinely prepare meals for a friend struggling with mental illness who lives in a dirty and dangerous boarding-care facility in Los Angeles where the food that's provided is poor in quality and lacking in nutrition. It was not apparent that my friend was mentally ill until he went to college and his thoughts and conversation became frenetic. At times, hallucinations and paranoia overcame him. He began self-medicating to retain control of his mind, to little avail. Today, my friend is successfully managing his illness (schizophrenia) with prescribed medications. Common symptoms of schizophrenia include hearing voices and an inability to differentiate what is real from what is not. People with schizophrenia often have additional mental health problems, such as anxiety disorders and major depressive illness. Symptoms typically come on gradually, as they did with my friend. The U.S. National Institute for Mental Health estimates that some 2.2 million Americans are afflicted with schizophrenia. 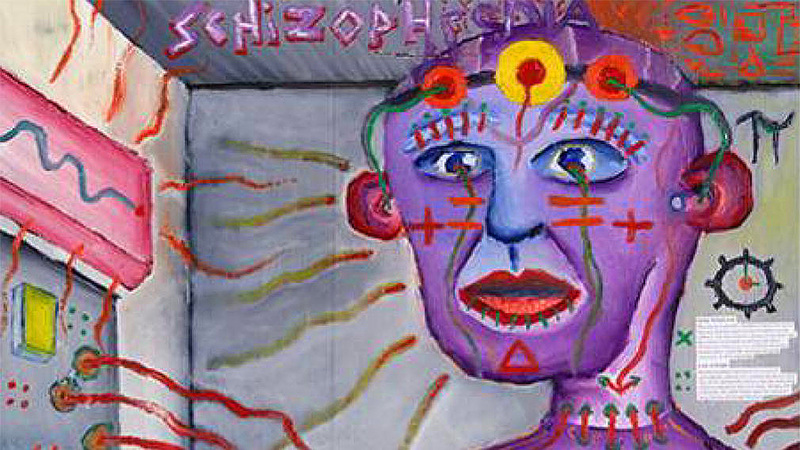 The World Health Organization puts the global number of schizophrenics at 21 million. Most people would consider my friend’s life grim, but he maintains a positive attitude while subsisting on the meager benefits of full disability. Dodger games remain an exciting diversion and he sustains himself with memories of his productive, creative self — the days he spent singing in the Los Angeles Master Chorale, a professional chorus that regularly performs with the Los Angeles Philharmonic and the Hollywood Bowl Orchestra at the city’s premiere music venues. It’s distressing to see someone with so much potential struggling with such a horrible illness, with no family close by to help him. It’s my hope that by providing some home-cooked food and company, I can bring some good cheer to my friend. Editor’s Note: The art accompanying this KiVi is a self-portrait of a person with schizophrenia, representing that individual's perception of the distorted experience of reality in the disorder. Susan Englen Such a moving story. Thank you for sharing it. Scott Doggett Jory, what a wonderful act of kindness this is. Your friend is so fortunate to have you in his life.